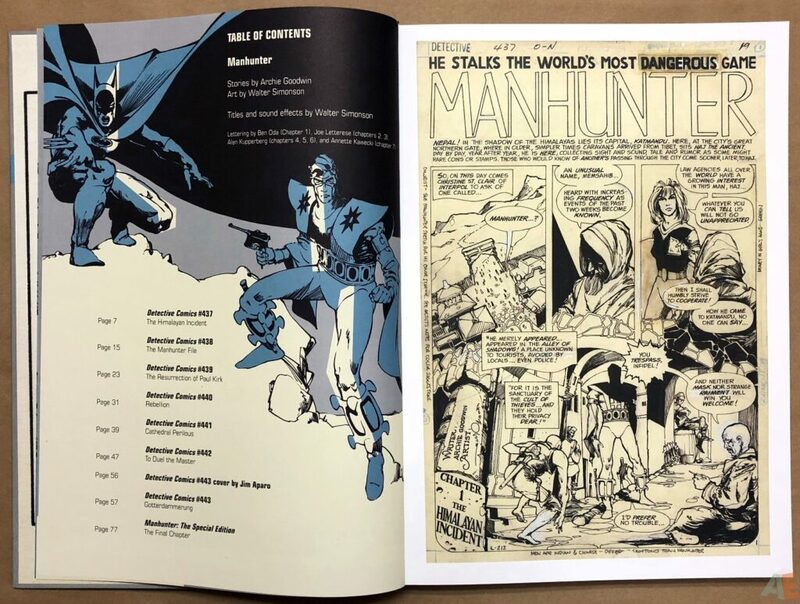 Manhunter by Archie Goodwin and Walter Simonson was one of the most acclaimed series of the 1970s, winning numerous awards along the way—not bad for a backup feature that only ran seven episodes! NYCC will mark the launch of this Artist’s Edition that presents the original run of Manhunter, as well as a classic Batman story, Dr. 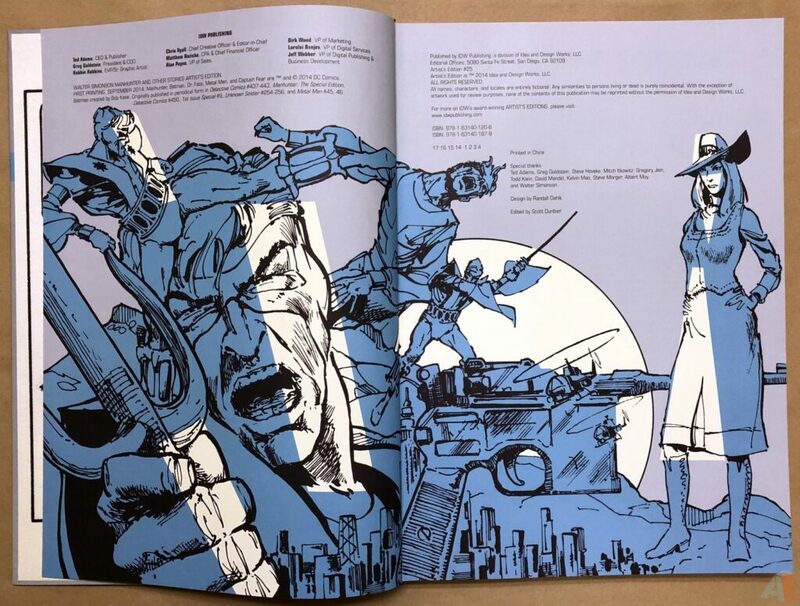 Fate, Metal Men, and Captain Fear tales with a convention-variant cover. 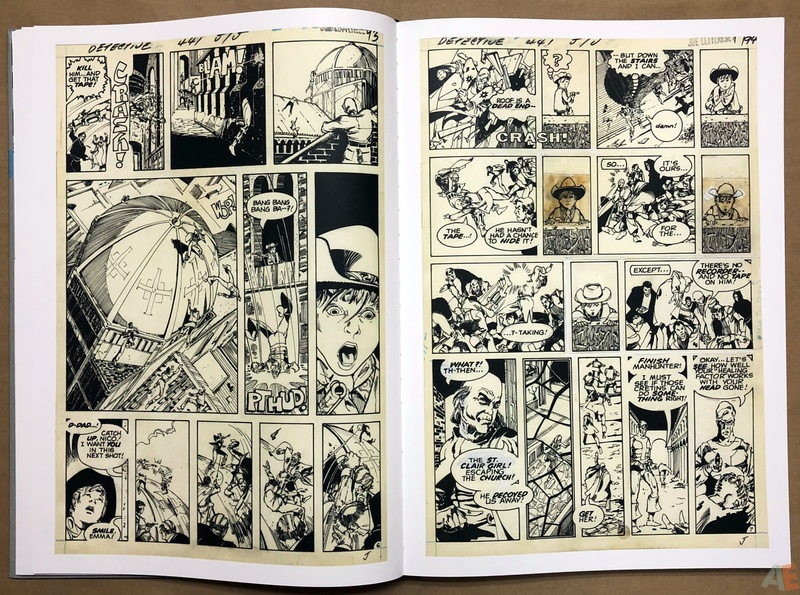 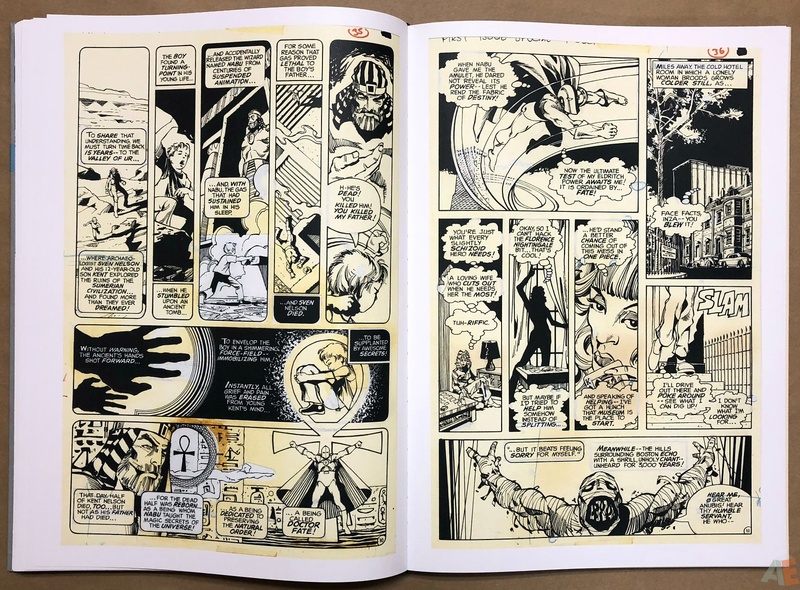 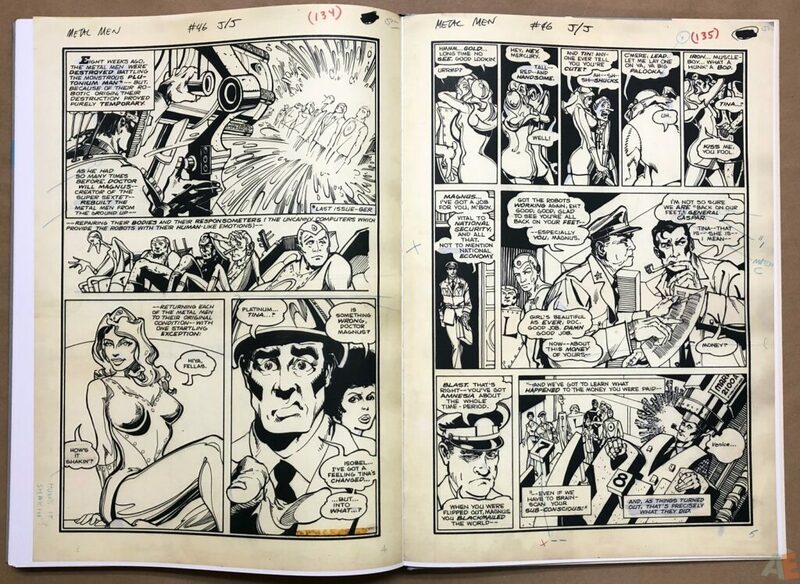 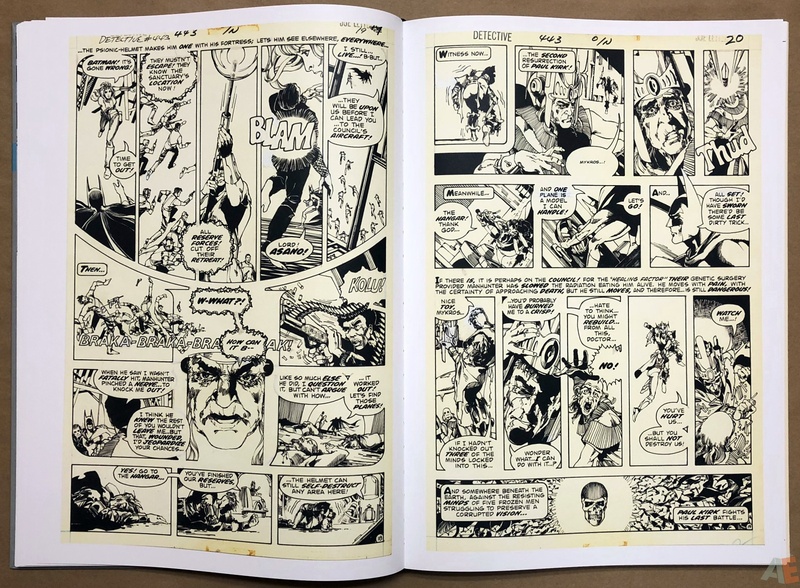 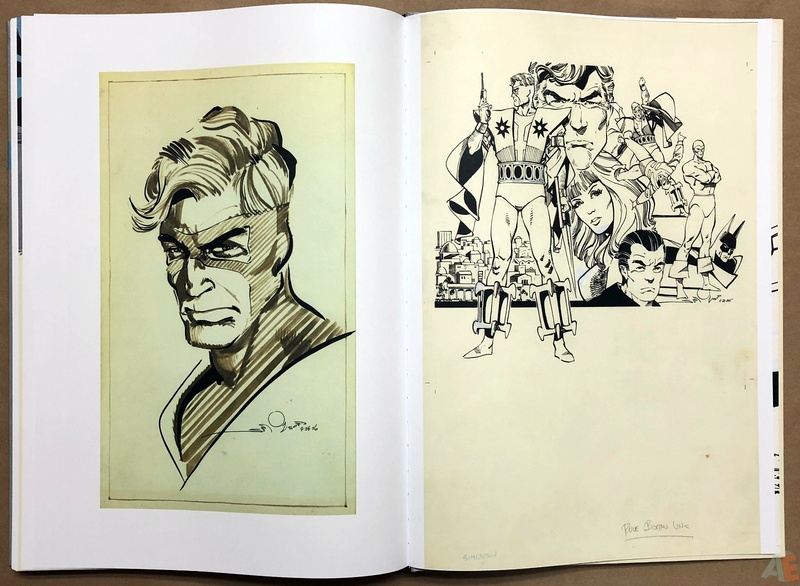 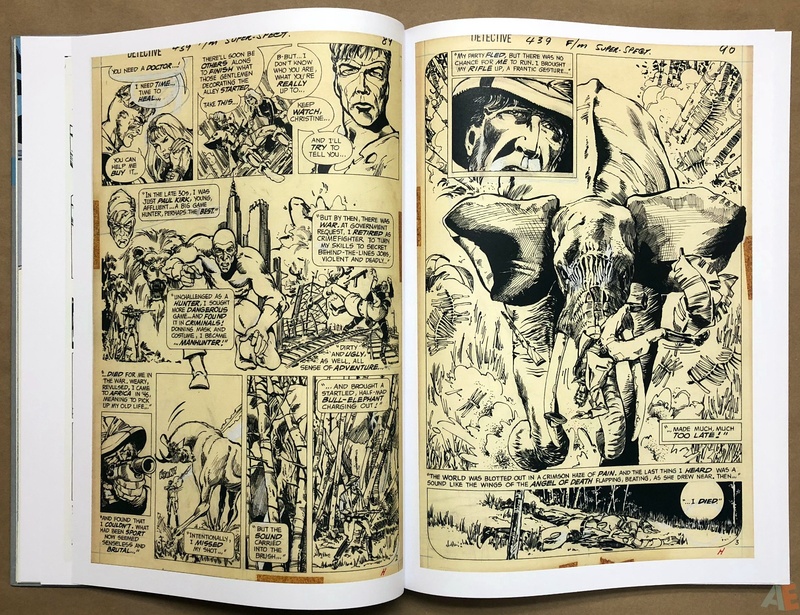 A wealth of classic material by a classic artist, and with nearly every page shot from the gorgeous original art, courtesy of the Simonson’s’ personal archives! 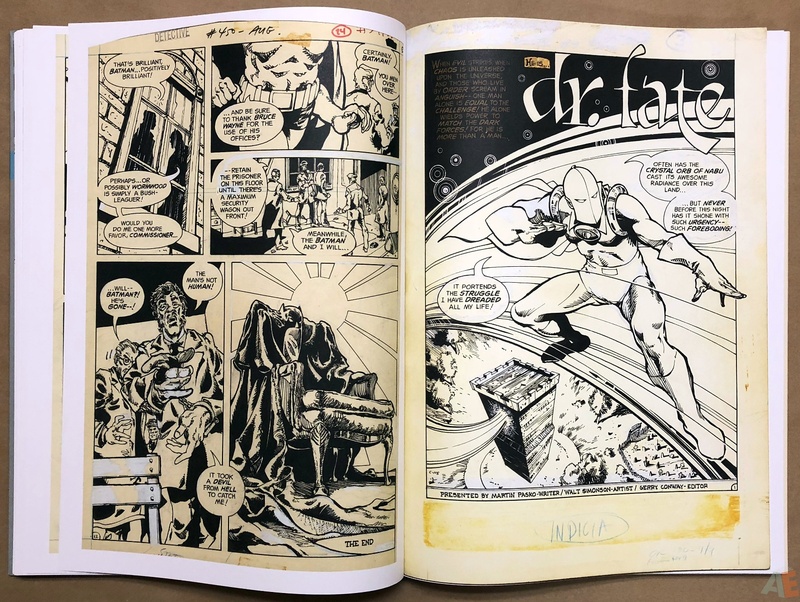 A mighty collection of awesome DC material, Walter Simonson Manhunter and Other Stories Artist’s Edition is a must-have volume. 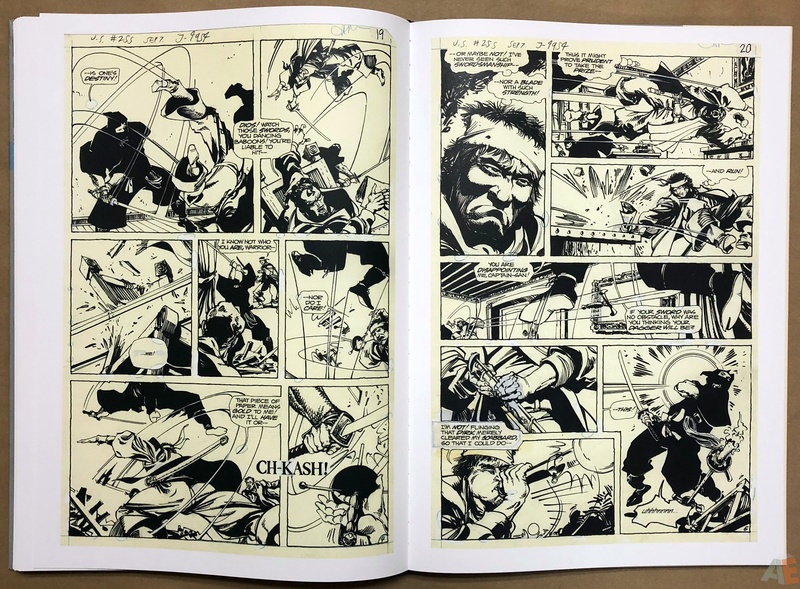 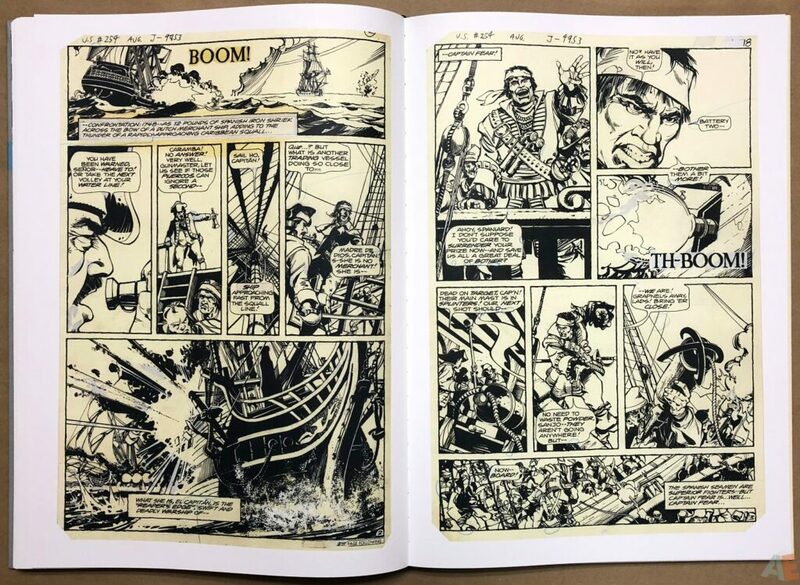 Simonson has kept almost all his original art so he’s a great source for these type of books: that’s why IDW, Dark Horse and Titan have all published his original art as artist editions. 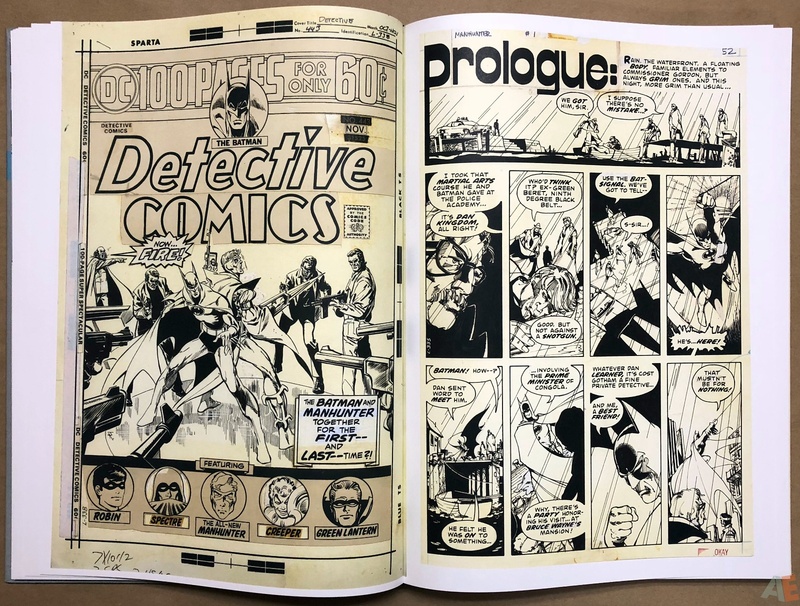 This time around it’s a DC bronze age smorgasbord, including: Detective Comics 437-443 and 450, Manhunter: The Special Edition, 1st Issue Special 9, Unknown Soldier 254-256, Metal Men 45-46. Along with those are covers, pin-ups, a Manhunter script and a one page biography of Simonson. 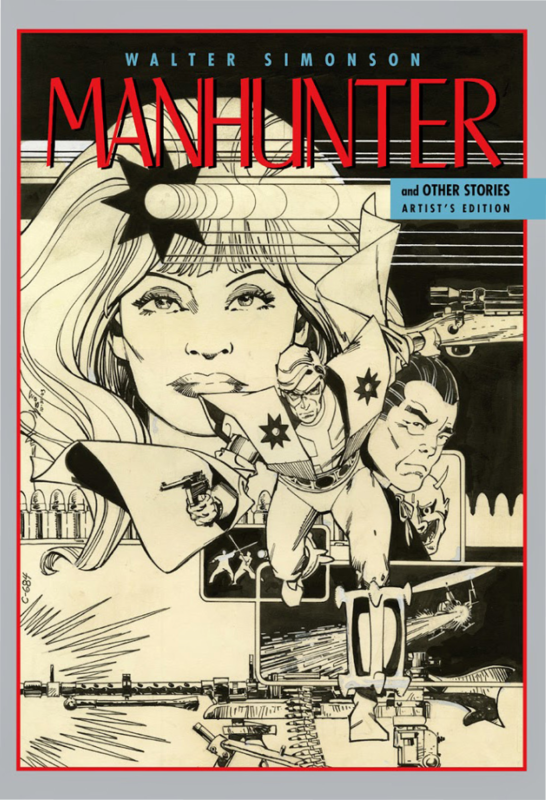 Manhunter ran as a backup in Detective Comics so you’re only getting the Simonson work from those issues. Instead of a page here and there missing and reproduced from another source everything is from Simonson’s original art except the entire story from Detective Comics 438 which he had very nice stats of. 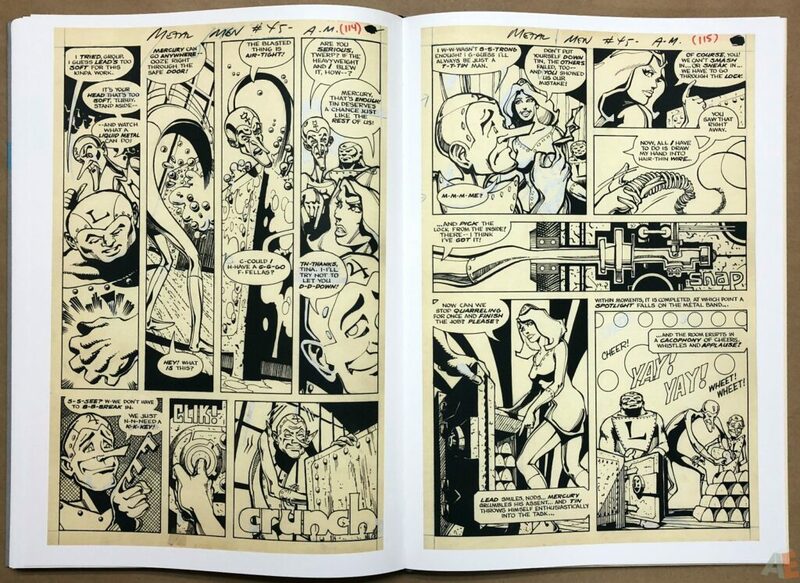 The scans are clean and well defined. 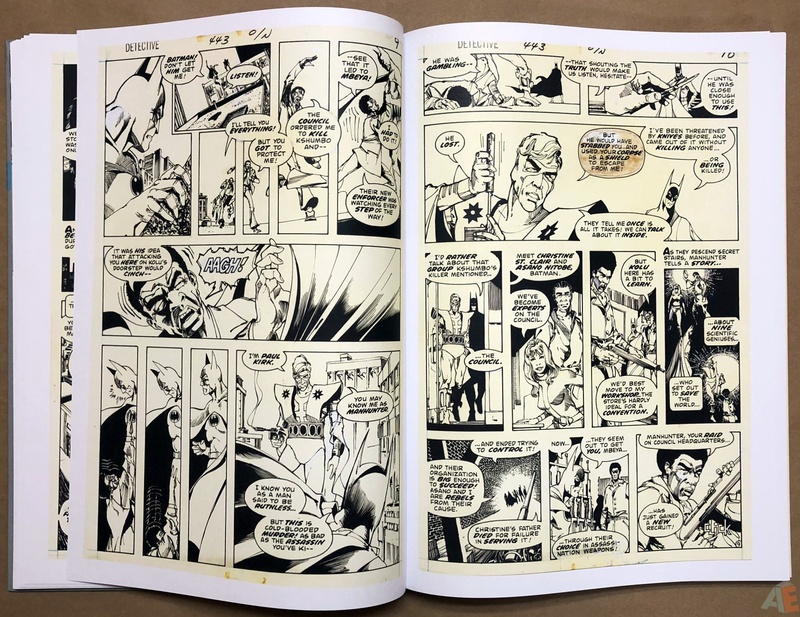 Most pages are yellowed with age, but that adds to the feel of the work. 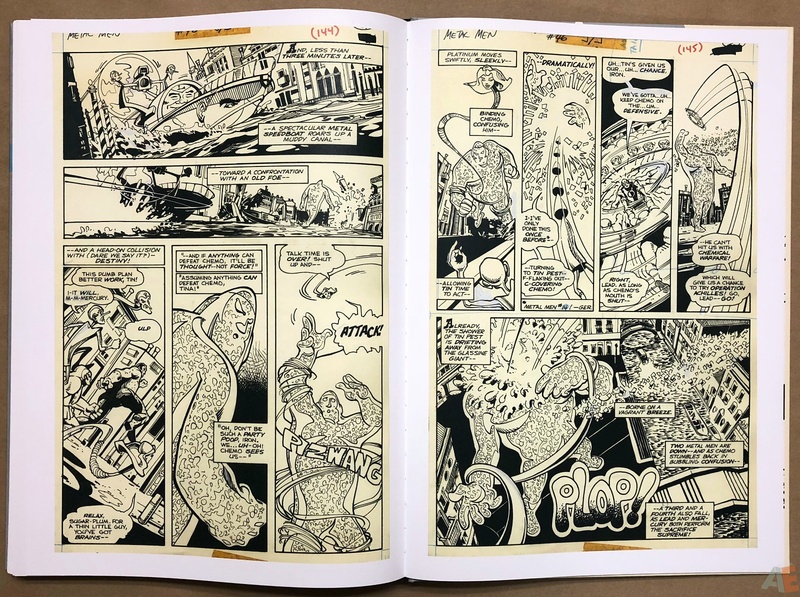 The subject material varies greatly, with a host of writers working across this time frame: Archie Goodwin, Elliott Maggin, Martin Pasko, David Michelinie and Steve Gerber. 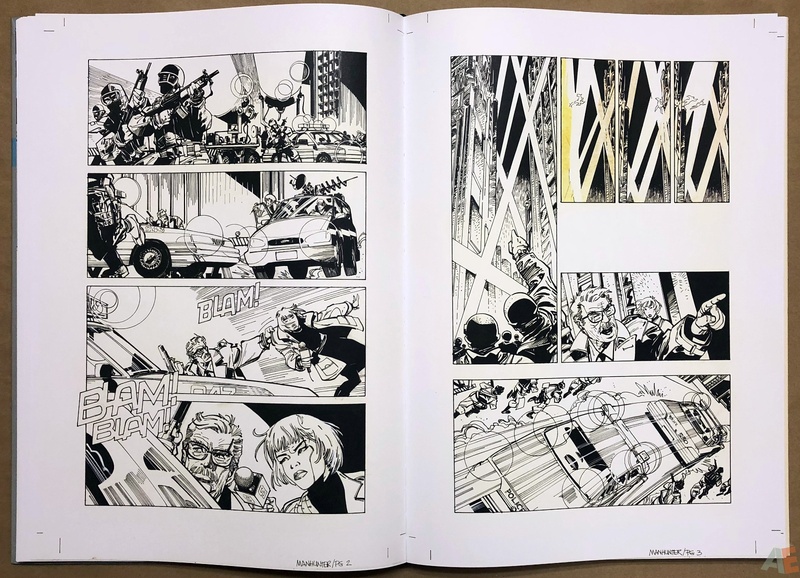 Since these editions are all about the artist, and named as such, it’s the visuals that take center stage. 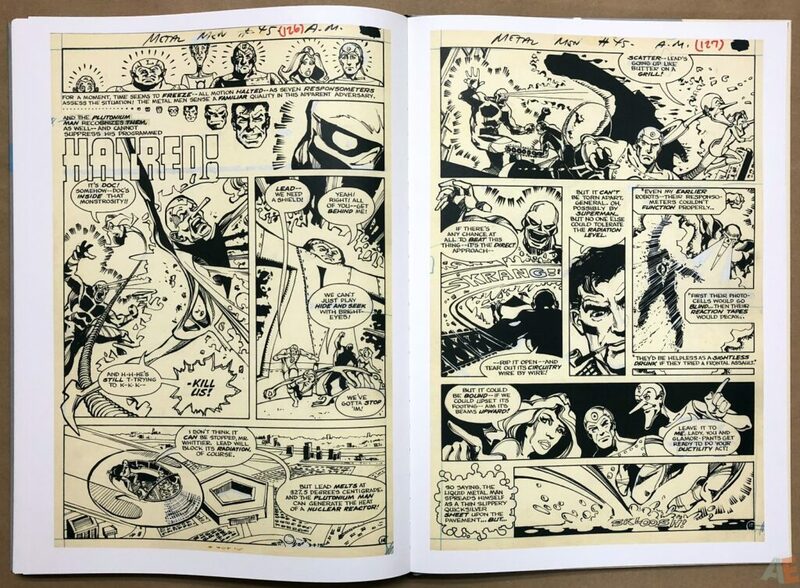 Yet all stories are presented complete so you can enjoy them as presented. This is early Simonson work and as such he hadn’t yet developed his signature style; elements of it are there but the hard lines and angles only make an appearance in the final Manhunter story from 1999. 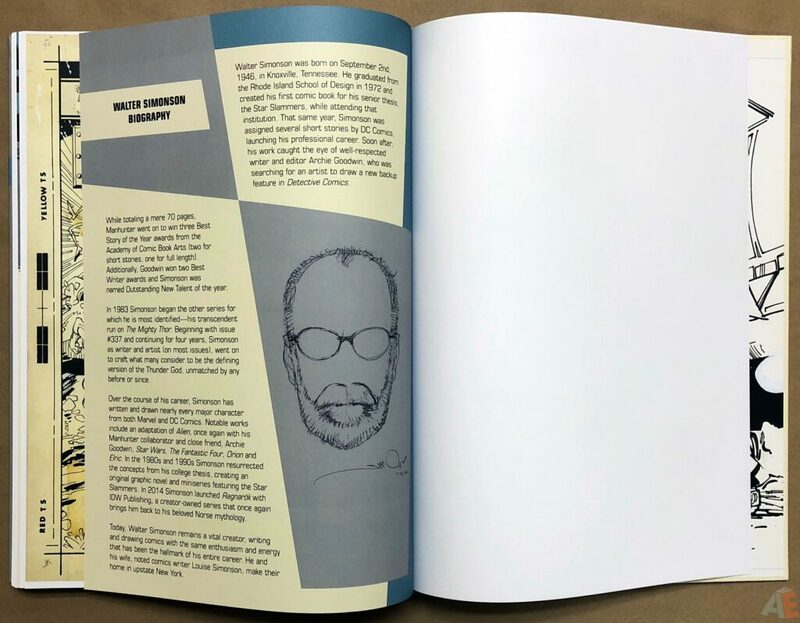 Lines are rounded and soft, more naturalistic than stylized. 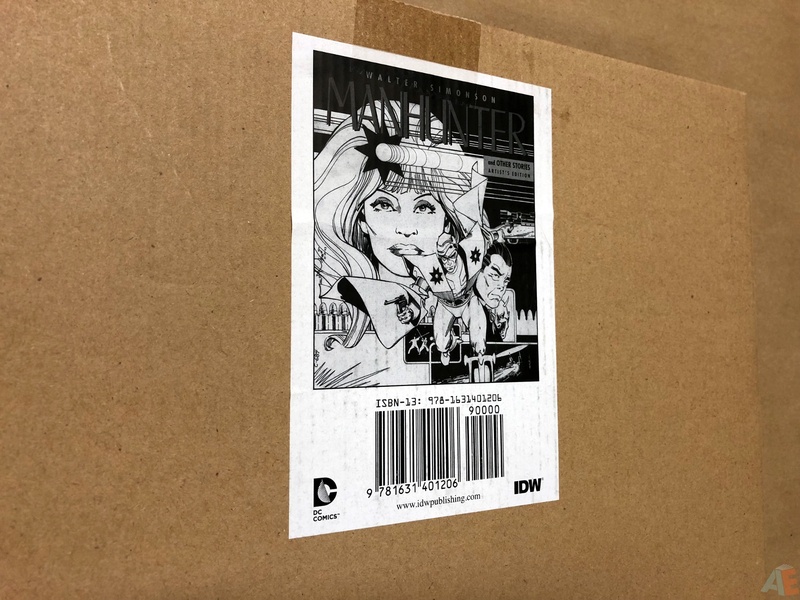 The material outside of Manhunter will be unknown to most readers, but probably not to those fans willing to shell out for an Artist’s Edition. 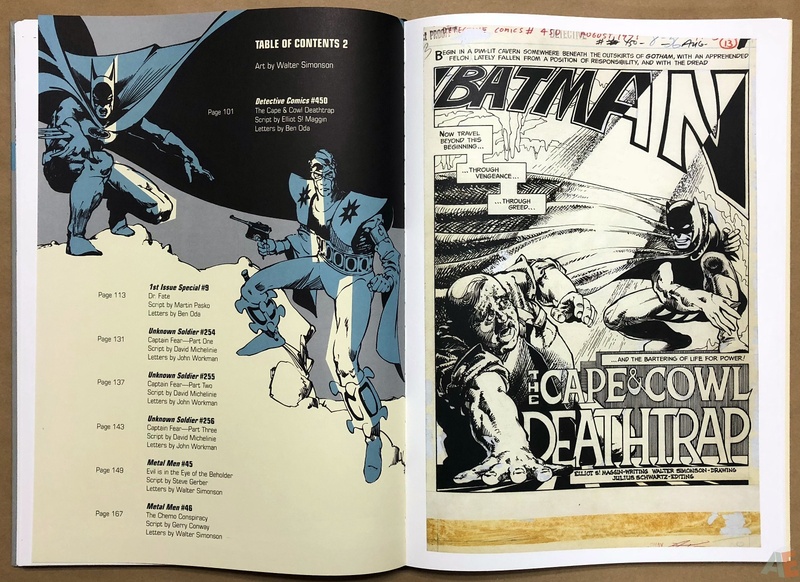 The Batman story looks nothing like Simonson, but as you move through that to the Doctor Fate origin, Captain Fear tales and finally Metal Men the development and growth is clear and captivating. 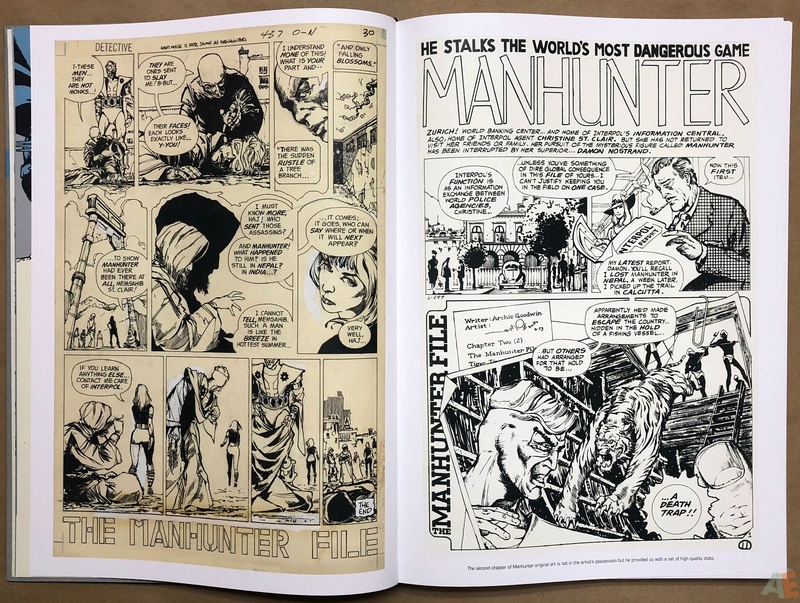 The gallery provides some unique looks into Manhunter: early design sketches in colour and a complete typed script from Goodwin. 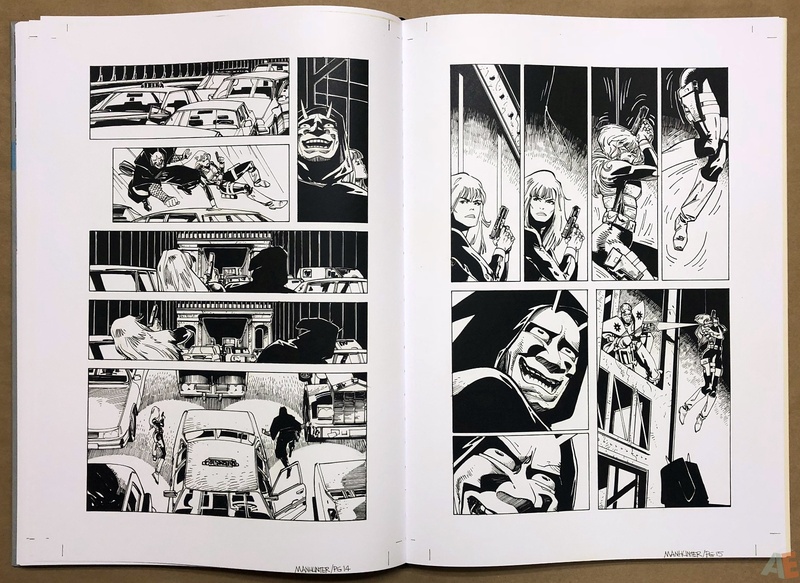 Plus covers, commissions and a one page biography to close things out. Another captivating design by Randall Dahlk, this time working with Simonson on the overall presentation. 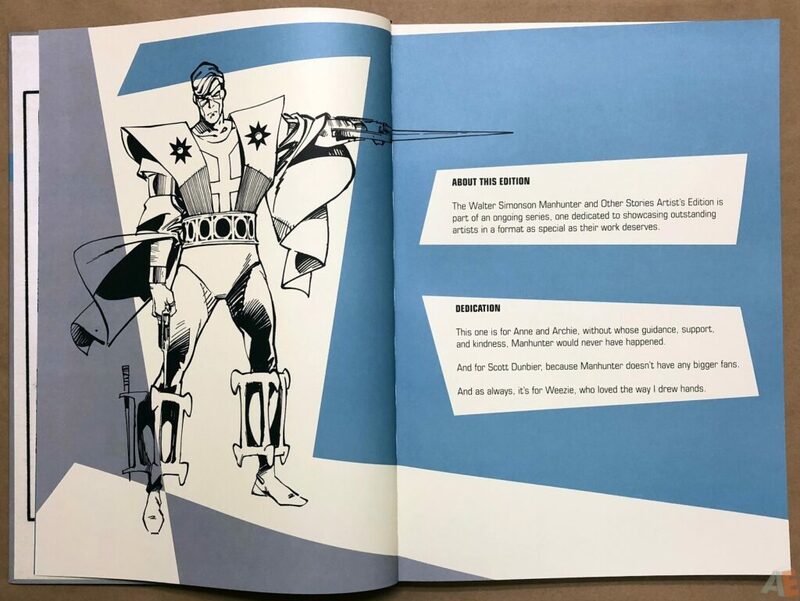 This volume seems muted in its design choices, pale blue and grey the colour palette chosen. 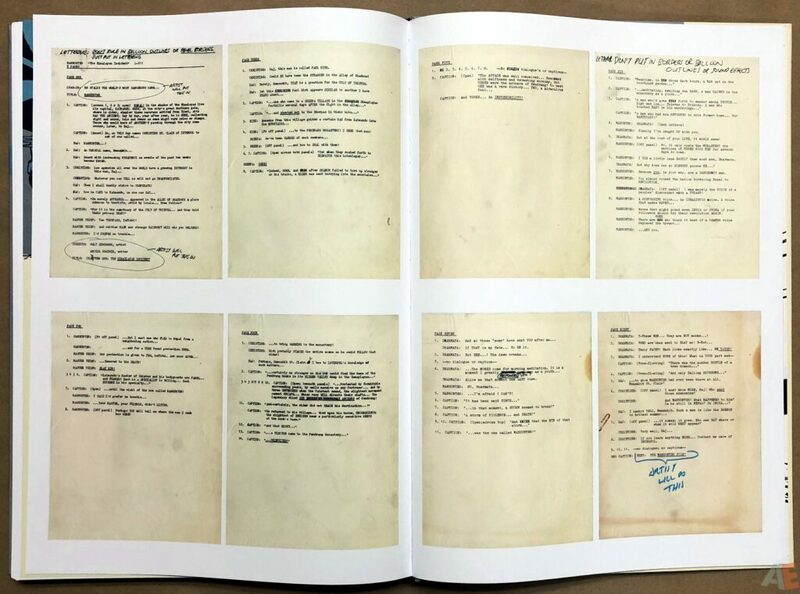 Also the three table of contents pages all share the same images and layout: overall it feels less nuanced. 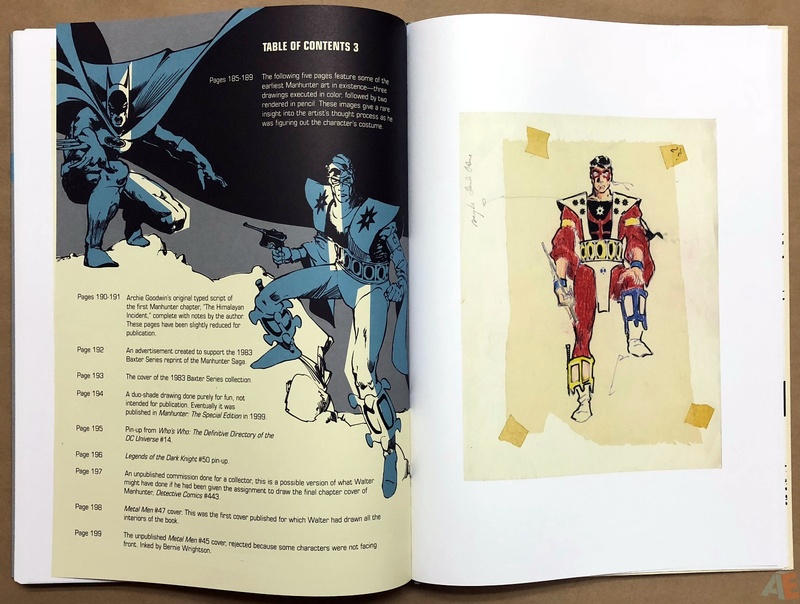 IDW’s standard fit and finish has been applied as usual, with thick paper stock, sewn binding and excellent packaging.